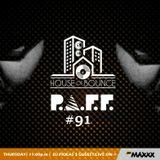 House of Bounce #91 - P.A.F.F. Born in 1990, Paweł Kasperski aka P.A.F.F. is an electronic music producer from Wroclaw, Poland. Paweł started his adventure with music producing at the age of 9, having discovered he could produce on eJay and Magix Music Maker, he decided this was something he wanted to learn more about. By the age of 12 he started producing with FL Studio, and the rest is history! 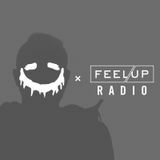 Producing music ranging from electro house and trance to even rap and dubstep tunes, he is sure to be the defiinition of a versatile producer. 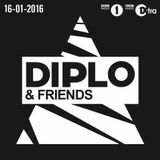 His music has been supported by: Armin van Buuren, Tiesto, Ferry Corsten, Paul van Dyk, Menno de Jong, Sander van Doorn, Paul Oakenfold, Moguai, Bodyrox, Antoine Clamaran, Markus Schulz, Ronski Speed and many more.